Mondrian was one of the early modern painters who explored ambiguous pictorial space. 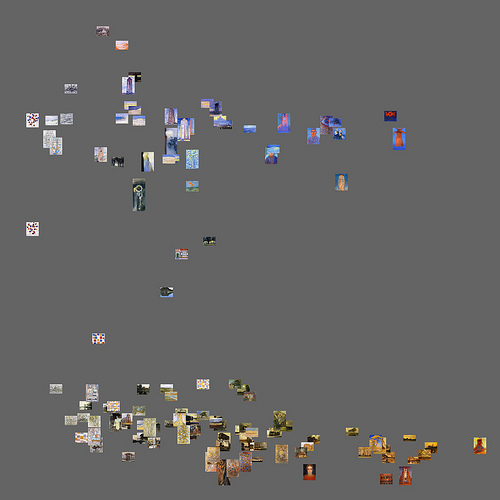 And in this computer meta-analysis of the “image features” of his paintings over time, we zoom out for another take on his body of work. 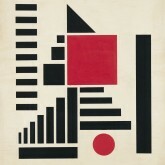 His point of jumping off into total abstraction and moderated color happens late in the game. 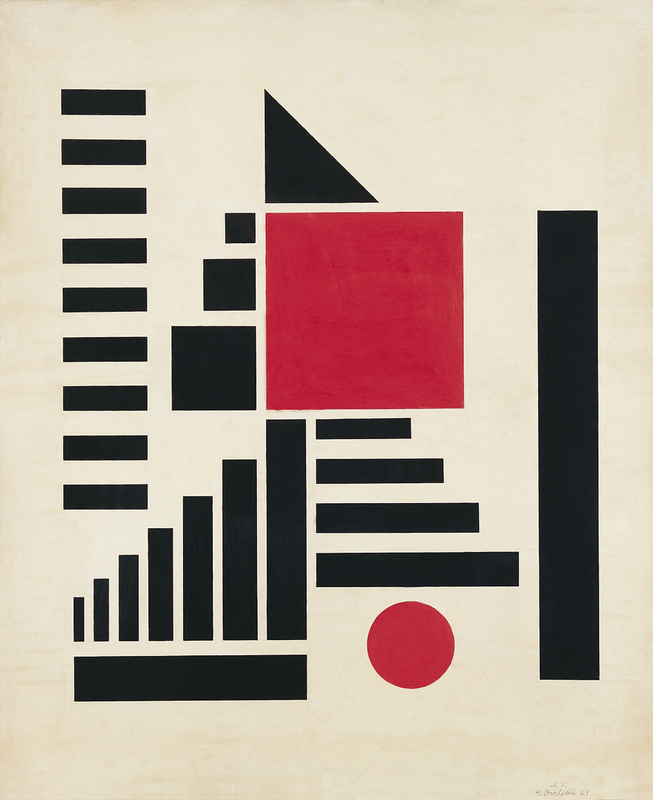 The computation further suggests –metaphorically –how we find ourselves as artists and viewers toggling between the concrete and screen worlds in the short space of one century. (Caution extreme math ahead. The video animation is fun though). “Here is an example of the use of animation to show patterns in time. 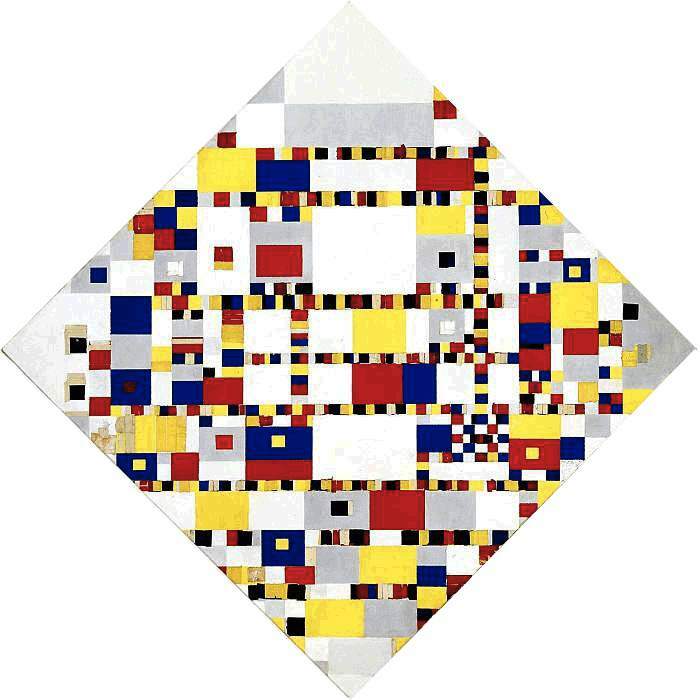 Mondrian’s paintings are plotted sequentially according to the year when they were painted; the year is shown in the upper left corner. (Note: Since we don’t know the exact dates of the paintings, a particular order used to render paintings in each year is not important.) 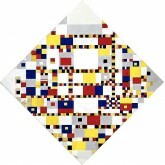 Visualization uses a standard statistical technique called PCA (Principal Component Analysis) to project 60 different visual features calculated over each of Mondrian’s paintings into new dimensions. (PCA_1 is mapped into X, and PCA_2 is mapped into Y). 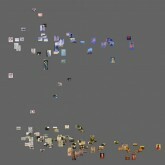 As previous visualizations, this animation maps visual similarity into distance. However, now distance codes similarity not along a single visual dimension such as brightness or saturation, but along dozens of dimensions combined together.